Attorneys Rahul Ravipudi and Jesse Creed of Panish Shea & Boyle LLP and Marci Lerner Miller of Miller Advocacy Group have filed a nationwide, class action lawsuit against college test company ACT for violating the civil rights of students with disabilities under federal and California law. Plaintiffs allege and seek to end the illegal practice by the college admissions gatekeeper of acquiring the disability status of students taking the ACT Test, and then disclosing their confidential disability information on score reports to colleges and other programs as well as selling the information to them for recruitment and enrollment purposes — a direct violation of the American with Disabilities Act (ADA), Unruh Act, California Constitution, and California’s Unfair Competition Law. As alleged in the complaint, ACT illegally uses student disability information in two primary ways. 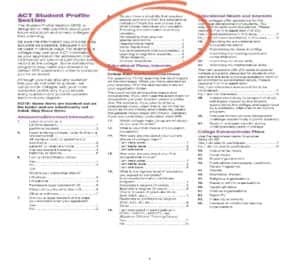 First, ACT “flags” student score reports by disclosing detailed student disability information and the use of accommodations on the score reports it sends to colleges. 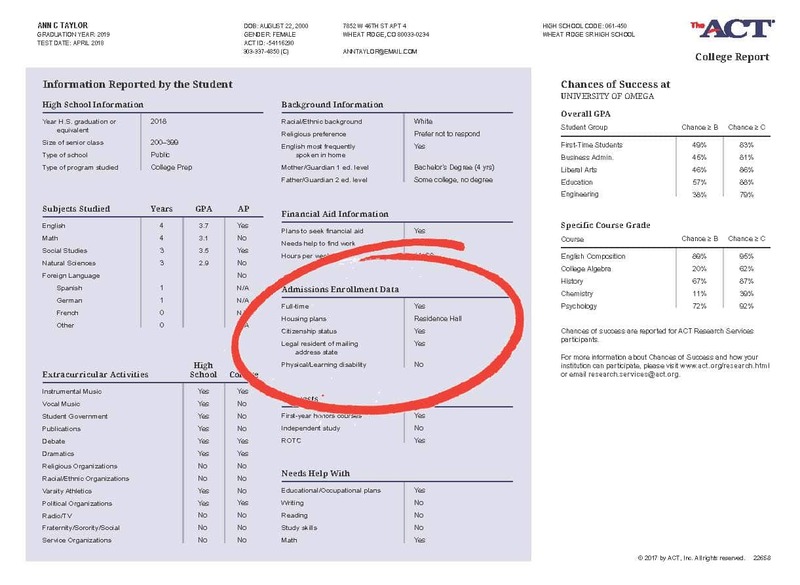 The company collects this information through questions on the online ACT Student Profile Section that every student fills out when registering for the college-entrance exam, as well as through its Student Information Form that test takers must respond to on test day without their parents, teachers or counselors present. Second, ACT sells the detailed student disability data to various postsecondary organizations including colleges, scholarship programs, and other third parties who use it for recruitment and marketing related to the admissions process. ACT knows that colleges must practice “disability-blind” admissions under federal civil rights laws and seeks to circumvent this prohibition on colleges by acquiring the information for them. 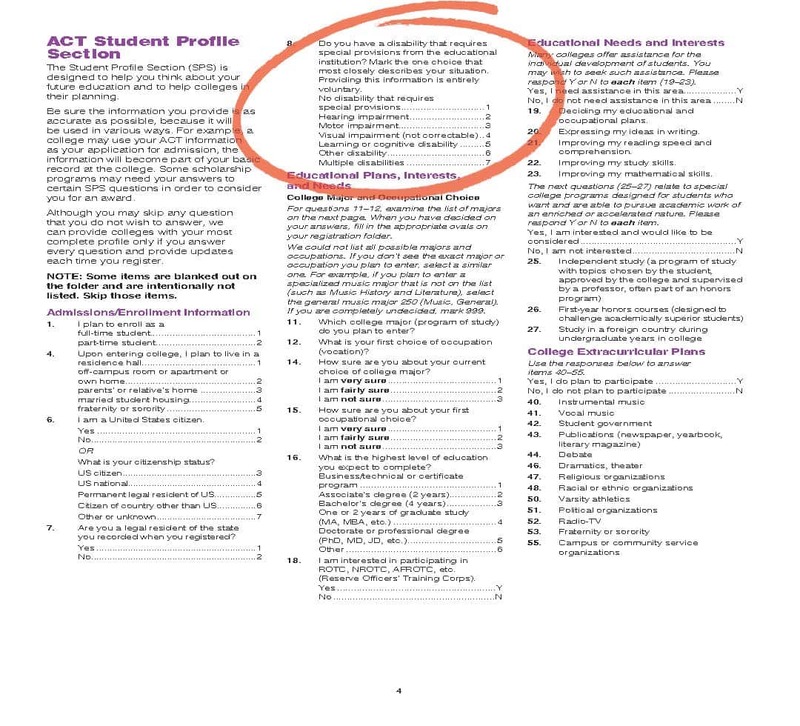 Unlike the ACT score reports sent to colleges, the teenage test-takers as well as the high schools they attend are intentionally kept unaware of ACT’s practice of reporting confidential disability status to colleges, because the ACT score reports sent to students as well as those ACT score reports sent to the student’s high school do not show any disability information. Plaintiff Halie Bloom is a college-bound, 2018 high school graduate who had an Individualized Education Plan (IEP) under the IDEA and a 504 Plan under the Rehabilitation Act since middle school, and she took the ACT several times with approved accommodations. ACT acquired Ms. Bloom’s disability status from her testing registration and annotated her score reports with “learning or cognitive disability” that requires special provisions. 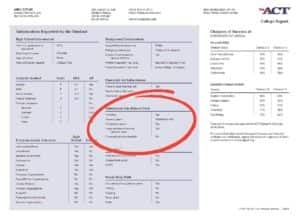 ACT disclosed Ms. Bloom’s disabilities on all ACT Test score reports sent on her behalf to colleges to which she applied and thereby flagged her score reports. She had no expectation that ACT would include her disability status with her score reports or otherwise ever disclose her confidential disability information. As part of its enrollment management services, ACT also sold the details of Halie’s disabilities without her knowledge or permission, allowing colleges and scholarship organizations to exclude her on the basis of her disability status. Ms. Bloom, as well as the plaintiffs and subclass members are seeking restitution at trial as well as seeking a nationwide injunction to stop this practice. Read the class action complaint against ACT here. Read the Daily Journal story here.